Stewart - backgrounder Stewart is a UK manufacturer and market leader in rotational and injection moulded products. The business operates in the aerospace, automotive, medical, technical moulding, garden, homewares and catering sectors. 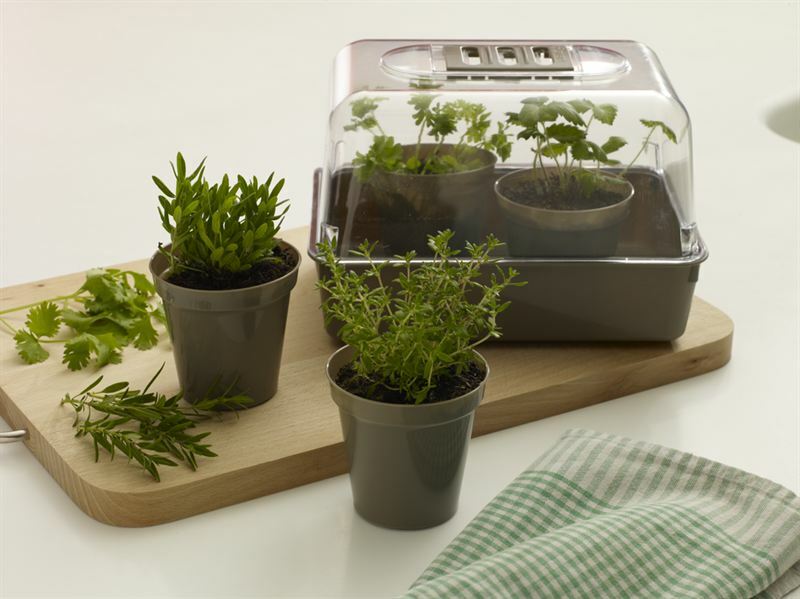 Products manufactured by Stewart include pots, propagators, food containers and specialist storage products. Two specialist divisions, Stewart Technical and Stewart Packaging, provide bespoke technical moulding and packaging expertise and services to the aerospace, automotive, medical and other manufacturing industries. Stewart employs 100 people at its purpose-built 178,000 sq ft facility in Banbury, Oxfordshire. The Fully Automated factory is home to micro controlled machines, including several Engle 300 machines and an Engle 700 machine, giving us enviable large machine capacity and fast manufacturing cycles. Stewart operates 24 Hours, five days a week. The factory has an extensive warehouse and can offer sub-assembly and printing. We also have strong links with offshore tool making facilities, enabling you to benefit from a world class manufacturing service and significant time and cost savings. Stewart is headed by CEO Richard Butler who built his career in the technical plastics and rubber sector and has worked for leading manufacturers in the aerospace and automotive sectors. Originally established in 1945, Stewart was the subject of a BIMBO (buy-in/ management buyout) in June 2011. ECI, the mid-market private equity specialist, invested £12 million in the company in a deal that valued the business at £17 million. Stewart Technical provides bespoke rotational and injection moulding solutions to clients including aerospace businesses, first and second tier automotive suppliers, the medical sector and other major manufacturers. Available at the factory are 18 machines (120T – 800T), full CAD facilities and extensive warehousing. Stewart Packaging offers manufactures of all types of products a bespoke packaging solution, which includes food grade packaging. As well as an extensive fleet of machines Stewart Packaging’s fully automated facility offers sub-assembly, custom design, promotional printing and extensive warehousing. Clients of Stewart Packaging include Kellogg’s, The Body Shop and Lush. Stewart Garden is responsible for grow your own products, watering, pots, propagators and garden accessories and sundries. These are available in over 1,600 outlets across the UK and Eire including major DIY outlets such as Homebase and Wilkinson and garden centres across the UK such as Dobbies and Klondyke/Strikes, The Garden Centre Group and some 600 plus independent garden centres. Stewart Garden plays an active role in the gardening and leisure industry through its membership of: •	GIMA – the Garden Industry Manufacturers Association•	Gardenex – the Federation of Garden and Leisure Manufacturers Limited •	HTA – the Horticultural Trades Association Stewart won the House Beautiful Best Product Garden Category in 2005 and the Klondyke Dry Goods Supplier Award in 2010. The company was a GIMA Awards - POS Finalist in 2009, and Best of British Finalist in 2011. Its Heat and Grow Thermostatic Propagator was top in the Which? Gardening Best Buy test on windowsill propagators 2011. Stewart Home provides food storage and homewares products. These include the Refine, Essentials and Seal Fresh food and drink storage collections, offering hygienic storage in a wide range of colours and shapes. Stewart Catering supplies the Gastronorm and Seal Fresh food storage ranges to the catering industry and specialist cook shops via wholesale and cash and carry outlets. Stewart is BS ISO 9001-2000 and TS 16949 (stage one) accredited, with stage two accreditation expected to be achieved in 2013. For more information visit www.stewartcompany.co.uk. For editorial enquiries, pictures, interviews and samples, contact Emma De Maio on 07921 160 134 or Maria Bretti on 07854 819 213 or emma@redheadpr.co.uk or maria@redheadpr.co.uk.